If you can name any thing (thing, not person) that makes you feel happy, excited or kilig, what would it be? I must admit. I crush the Nokia N8. A plain Thursday morning turned into an exciting one -- thanks to our friend Nikka from Nokia Philippines for allowing me to preview the incredible Nokia N8. The hardware may already look exactly the same, but the Symbian^3 software on this unit isn't final yet. Fortunately, the unit I tested had the final hardware and Symbian^3 software already. Ain't I lucky enough? 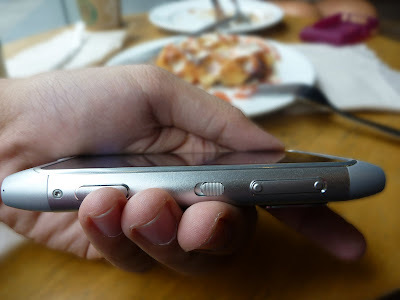 Upon holding the phone, I completely dropped my drink and utensils to give my full love and attention to the Nokia N8. It's wonderful. It's amazing. It's lovable. It defines why I truly love Nokia phones. 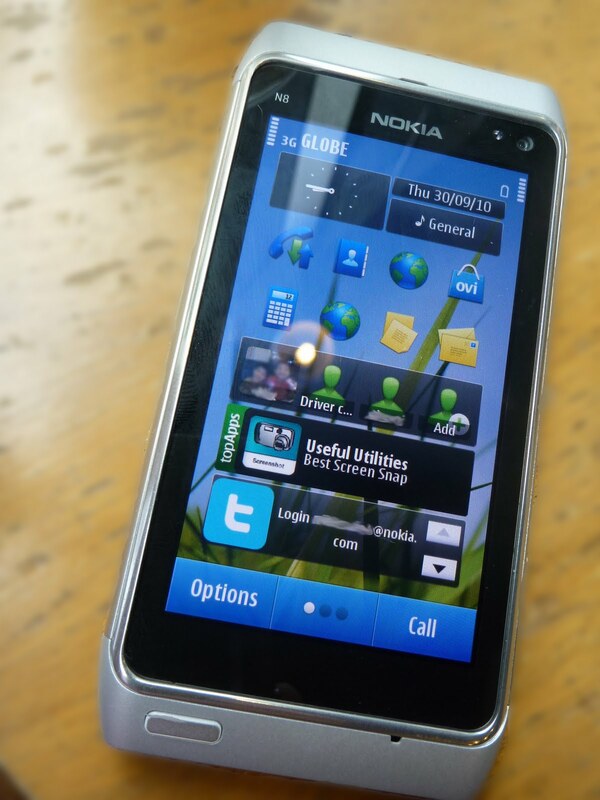 Nokia N8 is the first Nokia phone that locks the battery in forever. Built with aluminum elements, the phone has a sleek design that provides very solid and comfortable feel. The size is comparable to that of an iPhone, but edgier. Note however that this mobile phone does not claim to be an iPhone killer at all. The much talked about 12 mega-pixel Carl Zeiss optics camera stunned me. It took macro shots of my waffle and coffee cup without me choosing for that specific option. Intelligent! I can seriously replace my Lumix DMC-TS1, except that my digital camera has underwater capability. Some more things I love: it allows 3 home screen views that you can fill up with widgets, bookmarks, and shortcuts; I can play Angry Birds on it (!!! ); texting can be done via portrait and landscape mode, as opposed to Nokia N900. So if you're looking for a mobile phone with an awesome camera, great physical look and feel, integrated maps, built-in video editing suite, and many more amazing features all in just one phone, Nokia N8 is definitely for you. No price point yet, but the launch in the Philippines is coming very soon. Initial available colors in the Philippines will be Black, Green, Orange and Silver. If you'd like to pre-order, visit http://www.nokia.com.ph/own8. A more extensive review will follow once we get an actual unit to try. "Nokia N8 is the first Nokia phone that locks the battery in forever." i bought my n8 last oct. 23. and now the fcamera button is busted. it won't work anymore. F*$ck! Hi danorbs! Have it replaced by Nokia. I'm sure they'll replace it if it's a factory defect. My N8 is still perfectly OK after 2 weeks. Hi Glenn, they say they only have 3 day replacement warranty. i'm so disappointed. i bought mine at Nokia Care Cebu. 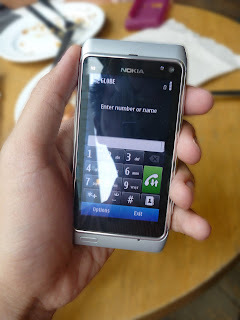 I also bought my N8 at Nokia Care in Ayala Cebu. The unit works flawlessly and after 3 weeks of having this phone with me day in and day out, I can say that this phone is perfect! It's got all the features I could possibly want in the phone and I still find myself looking admiringly at it. 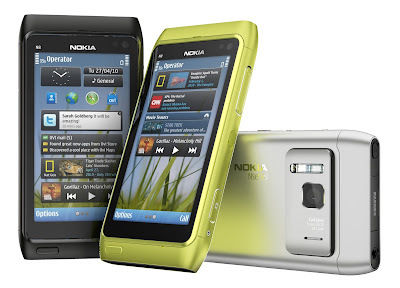 I simply liked this design of Nokia N8.It really tickes my fantacy.